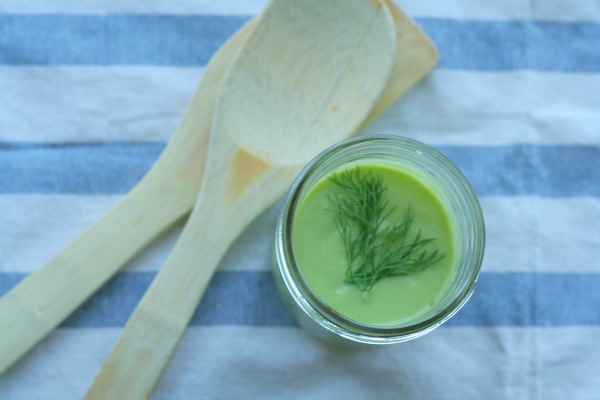 Making your own dressing is a cinch and the result is a rich, creamy, healthy, preservative-free salad topper that is full of flavour. Of course, if you’re having guests over, they’ll also be pretty impressed that you whipped up a fancy dressing from scratch! And just like that you’ve got yourself a scrumptious salad that works perfectly for lunch at work or as a starter before dinner. Wash and prepare kale, baby spinach, dill and vegetables. 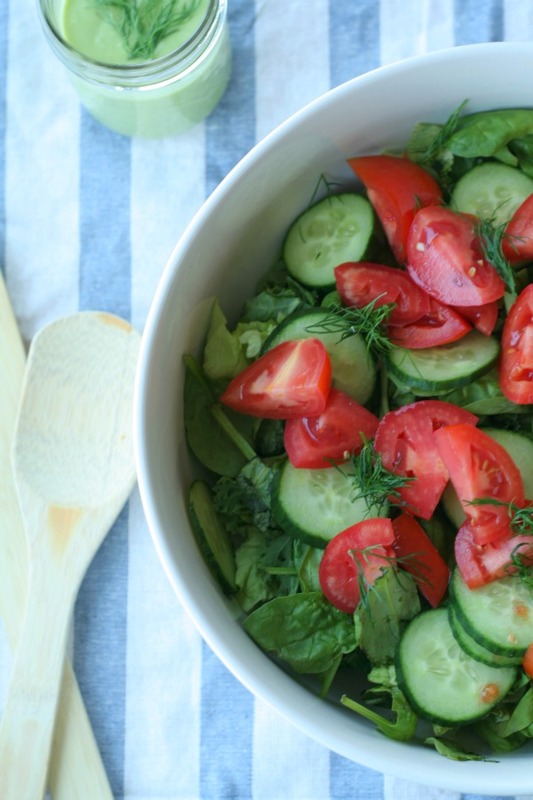 Place kale and baby spinach in a large salad bowl. Add in chopped tomatoes and cucumber. 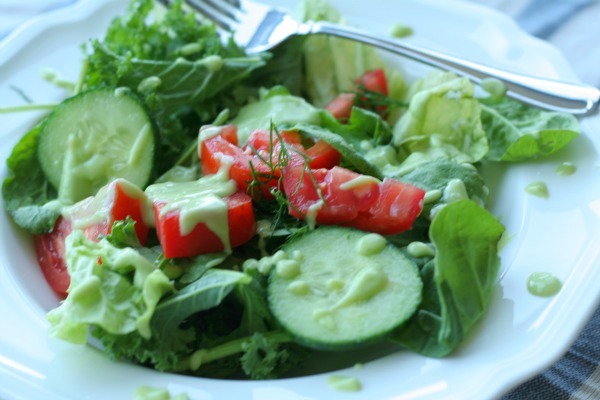 Prepare creamy avocado dill dressing and drizzle on top. Oh this sounds so fresh and light! 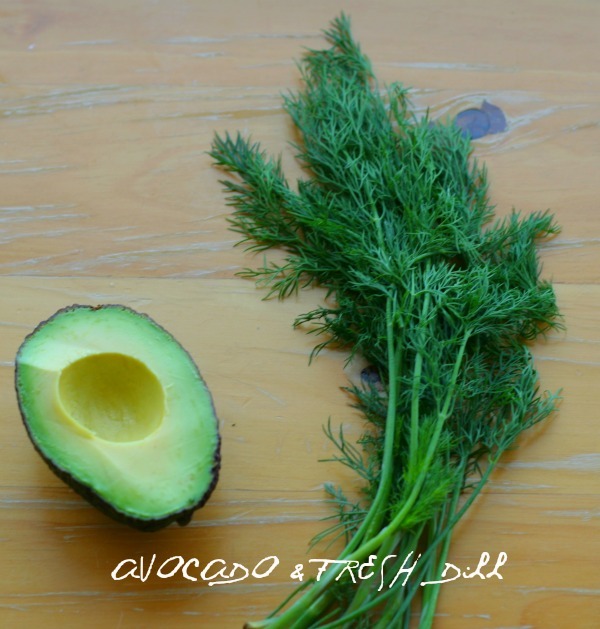 The avocado adds a yummy creaminess without being overly cloying and heavy, I really really love avocado! Haven’t tried it with dill before, always defer to the usual pairing with coriander, I must give this conbiantion a go! i love dill!! this is sounding so refreshing, light and delicious! Its a nice change to liven up lunch salads! 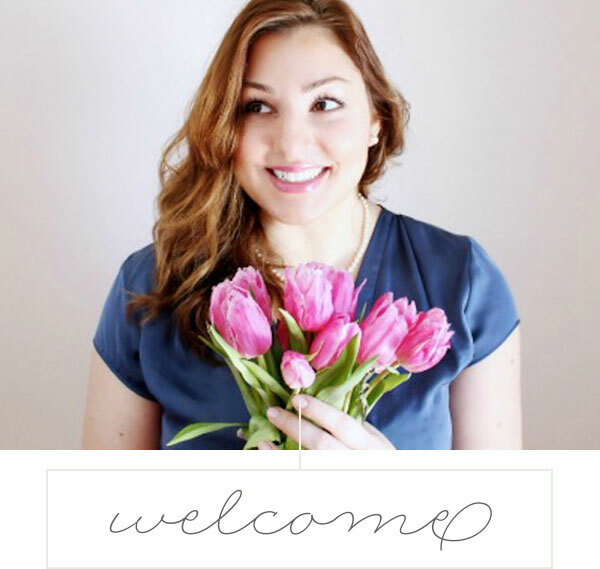 I am so grateful to have found your blog! While gluten is a major food group for me, I don’t eat meat, have oral allergy syndrome, and really struggle when it comes to finding whole foods that I can eat. A lot of recipes online include foods I don’t or can’t eat. Your blog and healthy recipes are so inspiring. You should publish a recipe book!